Developers The Game Bakers have announced that their action game Furi will be released for Nintendo Switch on January 11th. The Switch edition includes the boss roster-expanding “One More Fight” DLC, the option to speedrun its challenging Furier difficulty mode (never before available on console), and all improvements and updates previously added to the game. The Switch edition of Furi will be available digitally via the Nintendo eShop, priced at £17.99 / $19.99 / €19.99. 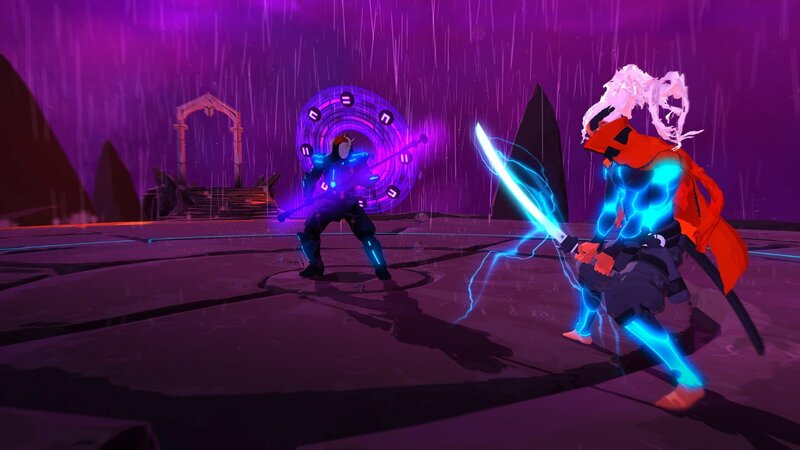 Furi was originally released for PlayStation 4, Xbox One and PC in 2016. There are currently 0 members and 136 guests on the website right now. Furi (PC) is ranked #392 out of 1436 total reviewed games. It is ranked #32 out of 138 games reviewed in 2016.